An online master's degree in criminal justice – corrections may sound like an unusually specific choice for graduate school, and you may be worried that it will limit your career choices after graduation. But truthfully, such programs are actually quite flexible, combining general, theoretical education in criminology with specialized classes that allow students to pursue work in law enforcement, investigative work, community assistance, offender rehabilitation, or even politics. Most importantly, graduate programs often emphasize leadership tactics, allowing current professionals to propel their careers into coveted management roles. Taking all the necessary steps to enroll in graduate school can seem daunting – especially if your time is already occupied with a full-time job, familial commitments, or community obligations. Chances are, you're looking for a school that's high quality, accredited, accessible, will accept your transfer credits, and is affordable. If that list checks most of your requirements, check out our ranking below. These online schools offer classes to students almost anywhere in the country, only asking that you own a computer and have regular internet access. Their accreditations and top rankings from publications like U.S. News and offer undebatable evidence of their quality, and their affordability is all in the numbers. As the ten cheapest online master's degrees in criminal justice corrections in the entire country (based on data from the U.S. Department of Education's College Navigator website), these schools' tuition rates are all below the cost of a standard college education. Not only that, but more than half are available for less than $10,000 a year! For your convenience, we've sorted them in descending order of cost, with the most least expensive school at #1. Check it out, get motivated, and share with your friends! Albertus Magus College offers a holistic masters in criminal justice online at affordable rates. An online master's degree in criminal justice – corrections from Albertus Magnus College offers a "holistic" approach to law enforcement education. Faculty encourage students to take a head-on approach to some of the biggest challenges currently facing the industry, from administration to the youth justice system. In order to truly prepare for successful future careers, students must also complete an internship and write a final thesis paper. A school that takes "flexibility" to a new level, Albertus Magnus allows learners to explore completely online, blended, or even FLEX courses, giving students the opportunity to choose whatever format suits them from class to class. U.S. News currently ranks AMC as #115 for Regional Universities (North) and #42 for Best Colleges for Veterans. South University allows students of many educational backgrounds enroll and get an online masters in criminal justice directly from any computer that has access to the internet. One appeal of South University's Criminal Justice program is that it allows students of many educational backgrounds to enroll. Students with bachelor's degrees in sociology, political science, criminology, anthropology, public administration, psychology, and business are all eligible for the program. The degree itself is also quite diverse, allowing learners to explore specializations in Homeland Security, Corrections, or Cybercrime as their interests dictate. The online master's degree in Criminal Justice – Corrections offers courses in Theory and Practice of Institutional Corrections, Community Corrections and Re-entry Programs, and more. 92% of South graduates deem the education "valuable," and nearly as many speak highly of the meaningful online courses. Work towards a career in criminal justice with a masters in criminal justice online at Kent State University. Kent State University's Criminal Justice Program is perfect for current criminology professionals at all levels of experience. Those who want to move into leadership positions at work benefit from classes covering everything from victim advocacy to global security. The online graduate degree in criminal justice – corrections concentration focuses specifically on issues of parole, probation, and institutional treatment. Dedicated faculty deliver all 10+ classes via Blackboard and other online platforms, utilizing PowerPoint presentations, video chats, discussion groups, and other novel resources. The Carnegie Foundation lists Kent as one of the top research universities in the country, while Times Higher Education labeled it one of the Top 200 institutions in the world. Enter the online masters criminal justice program at Colorado University at an affordable rate. 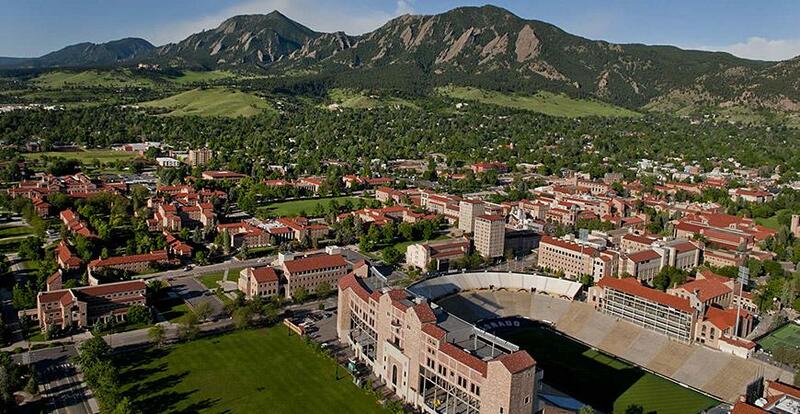 Colorado University is a reputable public school in the West, offering courses at multiple campuses as well as through distance education. In fact, U.S. News current ranks CU as the 9th top graduate school in criminal justice in the entire country. Its highly customizable program allows students to create their own speciality out of a long list of electives. As one of the best online master's degree programs in criminal justice corrections, qualified graduates can easily find work as FBI and CIA agents, criminal investigators, and corrections professionals. Colorado is full of police chiefs who are also CU alumni, while others have even gone on to become mayors or work in research. Eastern Kentucky University offers an online masters in criminal justice online for students who want to earn their masters degree from any computer. Eastern Kentucky University's accredited online master's degree in criminal justice – corrections is actually quite unique. One of the few online schools to provide a graduate corrections degree as more than simply a supplementary concentration, EKU's entire program is dedicated to Adult, Juvenile, and Community Corrections. The optional Graduate Certificate in either Corrections Leadership or Juvenile Justice Leadership provides additional training for students who aspire to management positions. Top names in education, including the Carnegie Foundation, U.S. News, Forbes, and Military Times EDGE magazine have recognized EKU for its top online programs, commitment to community engagement, and special programs for veterans. The University of Oklahoma offers a comprehensive and affordable online criminal justice masters degree. All classes are held online, and are accessible from any computer with access to the internet. University of Oklahoma's College of Liberal Studies offers a comprehensive, affordable online master's degree in criminal justice – corrections. Organized mainly as a Criminology degree, students can then pursue a certificate that both allows them to explore their unique interests and prepares them for more specialized careers. The Corrections Certificate includes courses in Correctional Leadership, Mental Illness and the Criminal Justice System, and Collateral Effects of Incarceration. Other certificate options cover advanced study in either Drug Abuse Policy and Management, Restorative Justice, or Administration and Leadership. U.S. News considers UO both a top public school and one of the best schools nationally. In addition, the Shanghai Jiao Tong University international ranking listed 301st in the world, tied with many other well-known "Big 12" schools. Work towards a masters in criminal justice online from any state at a cheap rate at Columbia College. Columbia College is an online institution that also offers programs at numerous campuses around the country, offering students unparalleled flexibility when it comes to choosing when and where to take courses. Their Criminal Justice program primarily focuses on preparing current professionals for management positions, which is why it's master's degree in criminal justice corrections online also has an administrative focus. The core courses cover the basics of criminal justice, policy development, research analysis and design, and ethics. After gaining this solid foundation, students interested in Corrections Administration can move on to classes in "Development of Standard Operating Procedure," "Community Corrections," and "Readings in Criminal Justice Administration." In 2009, Princeton Review named Columbia a top Midwestern school, while U.S. News a best university for graduate degrees in the same year. Kaplan University has masters in criminal justice program for students who want work towards a career in law or government. Kaplan University is a ubiquitous name in the education industry, offering everything from college courses to private tutoring services. Its university programs cover nearly every level of study – often at a lower price point than traditional schools. The cheap online master's degree in criminal justice corrections is no exception, available for a total investment of about $20,000. Veterans, active duty military members and spouses, and international students enjoy steep discounts as well. Kaplan students who specialize in Corrections take classes in "Critical Issues in Juvenile Justice," "Community-Based Corrections," "Comparative Correctional Systems," and "Critical Issues in Corrections." On College Prowler, student reviewers agree almost unanimously: Kaplan provides an education that is valuable, meaningful, and worth the money. Saint Leo University is an accredited affordable university that offers an online criminal justice masters degree. Saint Leo University stands in front of a long history of stellar education, offering reputable, useful programs since 1889. Its top online master's degree in criminal justice – corrections, divided into core criminal justice classes and specialty corrections courses, prepares numerous graduates for advanced law enforcement work every year. At the helm of the department if Dr. Robert J. Diemer, a distinguished professor with almost three decades of experience in investigative fields. After completing 18 required classes, those with a special interest in Corrections can study treatment methodology, corrections leadership, contemporary issues and trends, and more. U.S. News included Saint Leo on its list of Top Regional Universities (South). Grand Canyon University is one of the least expensive institutions that offers a masters in criminal justice online program for students on a budget. Grand Canyon University may be the least expensive institution on the list, but that doesn't mean its programs are also the least impressive. Not only does the school maintain a competitive 37% acceptance rate, But FindTheBest, a comprehensive ranking site, awards GCU an excellent 81/100 "Smart Rating" due to its excellence, affordability, and selectivity. Although the school's emphasis is on law enforcement rather than corrections, the program closely resembles many other corrections degrees. Students learn about investigative procedures, restorative justice, ethics, and research methodologies. This graduate program also overlaps with online master's degrees in criminal justice – corrections in its focus on leadership and management practices.